With the news of a new on-field home, AFC Ann Arbor now officially have an off-the-pitch headquarters as well. AFCAA are thrilled to announce the impending opening of its very own team shop that will be known as ‘The Treehouse’. Located at 3676 South State Street, supporters of The Mighty Oak now officially have their own home away from home. For chairman Bilal Saeed, a recent event sparked desire to carry out a plan that he has dreamt of before. “It's something I've been wanting to do for a while. 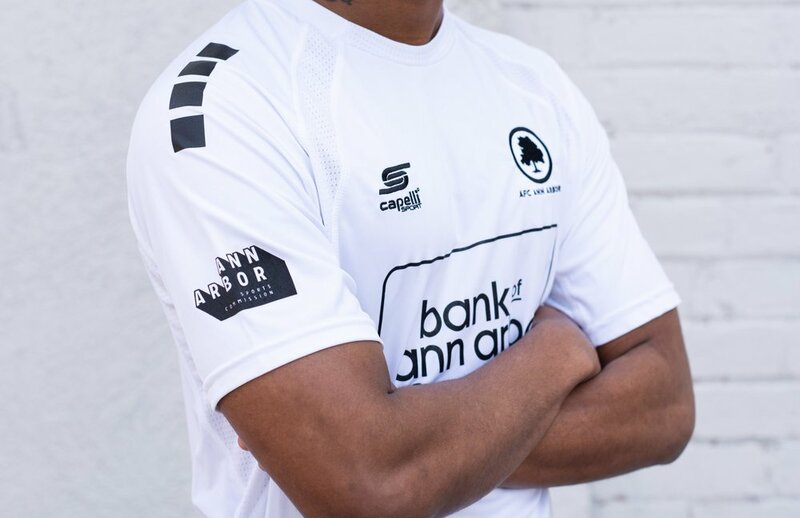 I started looking at spaces over a year ago, but when I visited the MPLS City Clubshop in December at the AGM [Annual General Meeting], I knew I couldn't wait any longer to launch this project.” AFCAA are pleased to join the growing number of clubs in opening its doors up to supporters and community members with team shops. The grand opening for The Treehouse is already confirmed. The one-stop-shop for all things AFC, including all new merchandise and 2019 tickets and memberships, will have a grand opening event on Friday March 1st, from 6 to 9pm. “The grand opening will also include our first ever "equipment sale" where we will be selling some of the old match worn jerseys and team gear,” Saeed said of the exciting event. “Since it's getting close to the season, it will be a great opportunity to get fans, players, and staff together before the madness begins.” The Treehouse will, as Saeed said, not serve just as a store, but a place for all members of the AFCAA Family to conglomerate and interact with one another at events like these. AFC Ann Arbor’s Treehouse officially opens to the public on Monday, March 4th at 11am, and will be open Monday-Friday, 11am-6pm until the season starts. With its commitment to community, that importance of the club as a whole was not lost on Saeed in the opening of a club shop. “The Treehouse is just one more piece to the puzzle of growing our footprint in the community,” he said. The branching out in multiple different areas of the community, be it serving the community through youth programs like The Mighty Oak Youth Project, assisting in charity works outside the state (or even country) like the Umhlaba Vision Foundation, providing access to the sport to young people in South Africa, or this, each project in embedding itself in the community it calls home serves its own function. For those who wish the matchdays would come a bit quicker, or in the season when fans wish they did not have to end, supporters will be glad to know that they do not have to. AFC Ann Arbor will be thrilled to welcome you into its new home next month for a grand opening full of fun, along with many more action-packed days as winter turns to spring, and spring into summer. Be sure to follow @AFCAnnArbor on Twitter and keep watch AFCAnnArbor.com for more news and notes about The Treehouse’s grand opening, and other events that may be happening at the shop.